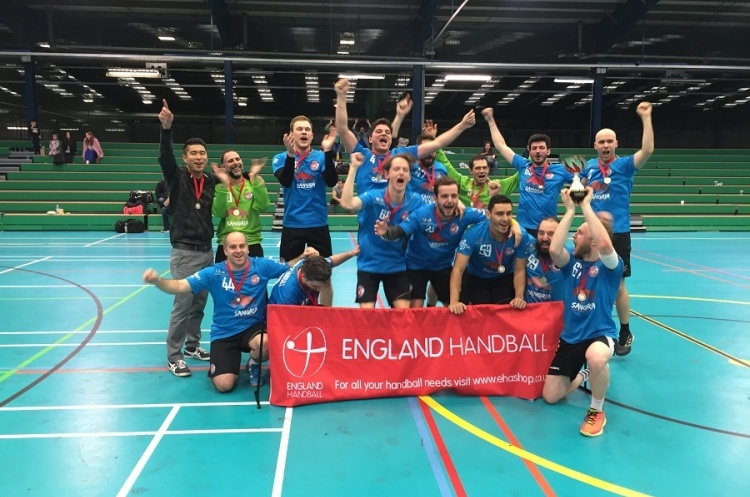 London GD II won the men’s League Cup, and Reading Lionesses secured the women’s League Cup in two thrilling finals at Powerleague Trafford. GD staged an amazing comeback against Reading Lions to claim a 29-27 win. GD looked dead and buried at half time as they trailed 9-18 to the Lions. However, they came out all guns blazing to draw level and then edge into the lead. Lions dug deep to ensure a nail-biting finale. Patrick Guenther of GD, who scored nine goals, was named ‘Player-of-the-match.’ Kiril Tankov beat the keeper nine times for Reading. Reading Lionesses beat Liverpool 25-23. The first half was a close affair, Reading leading 13-11 at the break. The teams exchanged goals in a tense second period, as the action moved from end-to-end in a physical, but fair, encounter. Reading keeper Malgorzata Niedbalo was named ‘Player-of-the-match’ while Alina Popescu scored seven goals for the Lionesses. Carolyn Dowling notched five goals for Liverpool.